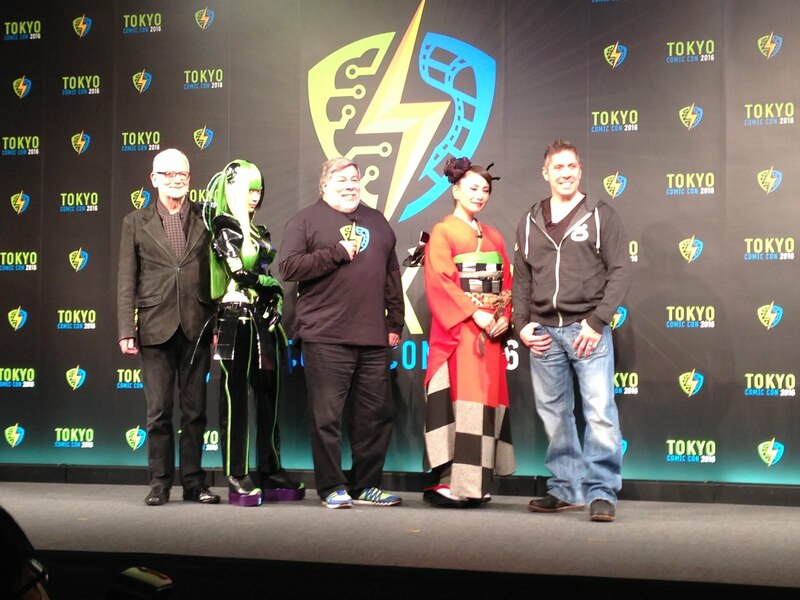 Tokyo Comic Con 2016 kicked off with a press launch in Roppongi Midtown. Something new for Japan, the origins date back to a conversation between Stan Lee, the godfather of American superheroes, and Steve Wozniak, the legendary engineer who brought Apple to the world alongside Steve Jobs. They believe in a cross over between pop-culture and technology and aim to create something that is truly global in scope and execution. Woz-san, as respectfully referred to by the MC, talked of his love of Japan and how he sees it as a country of pioneering concepts and technologies. Somewhat adverse to international travel, he made the point of how much he enjoyed visiting Japan in particular and even how his wedding ring was created using the technology of the katana, something over four centuries old. But he just loved the technology. And he talked about the new world. His belief is that learning should be fun. Motivation is more important than knowledge he said. The world has changed and Steve Wozniak was an agent of that change. Steve Jobs famously loved the Zen of Kyoto but Steve Wozniak spoke of his passion for Japan's future vision. 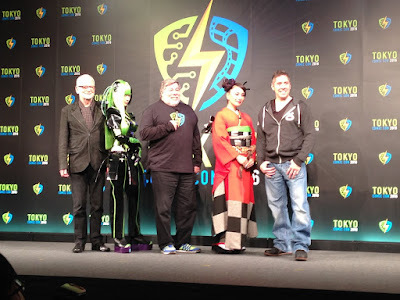 And then he was joined on stage by Darth Maul along with the Emperor from the dark side, praised the work of Mifune, he of The Seven Samurai, to his daughter and chatted with a green haired cosplay idol. But he believes learning should be fun. And from a man who changed all our lives, that's important.